President Muhammadu Buhari has commenced the retooling of his administration, which would see strong political leaders from the All Progressives Congress (APC) being brought in as ministers to represent the six geopolitical zones in the country, THISDAY has learnt. This is just as the president said Wednesday that it was time for Nigerians to resolve never to provoke another civil war by their actions and inactions, recalling the pain of the tragic loss of human lives during the last civil war. 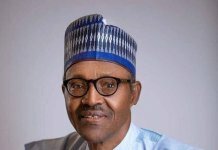 Buhari who made the remark at the launch of the Armed Forces Remembrance Day Celebrations 2018 emblem and appeal fund in memory of ex-servicemen who lost their lives in the first and second world wars as well as the Nigerian civil war, said honouring the memories of the departed service men was worthwhile and desirable. The president also swore in the new Secretary to the Government of the Federation (SGF), Boss Mustapha. Both ceremonies took place ahead of the weekly Federal Executive Council (FEC) meeting in the Council Chamber of the State House. The swearing-in of the new SGF, however, was the first of a number of measures by the president to inject strong political leaders into his government with the appointment of more ministers. 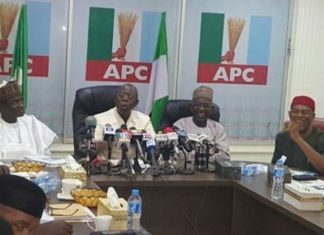 Buhari had at the meeting of the National Executive Committee (NEC) of the APC held on Tuesday in Abuja, said he would appoint more ministers to his cabinet and fill the vacancies on the boards of several federal government agencies with his party stalwarts who had been agitating that they had been left out since he assumed office two years ago. The appointment of political stalwarts may not be unconnected to the desire to place key loyalists with the muscle to deliver critical states and zones during the 2019 general election. A presidency source explained that the new ministers would represent each of the six geopolitical zones in the country, effectively replicating the same cabinet structure used by successive Peoples Democratic Party (PDP) administrations during the partyâ€™s 16 years in power. 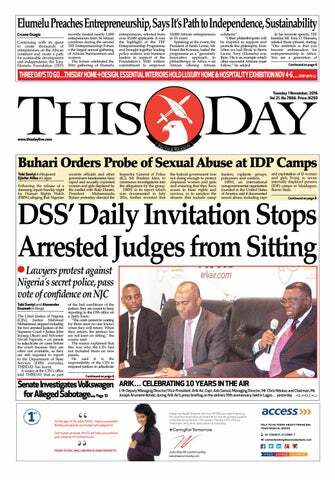 The source also informed THISDAY that Buhari would ensure that the ministerial appointees are strong political leaders to fill areas that he feels are underrepresented or currently have ministers of state representing the states. â€œThe goal is to appoint strong political leaders into the cabinet as opposed to most of the technocrats currently in the cabinet. â€œWith this, the president can bring in people to represent areas like the Tivs in Benue State, as Audu Ogbeh who is currently the agriculture minister, is an Idoma man. Other areas include Kano and Katsina,â€ the source explained. Meanwhile, speaking at the launch of the Armed Forces Remembrance Day emblem Wednesday, the president who lauded what he described as the unparalleled loyalty of the military to Nigeria, hailed the gallant military men and women whom he said were being confronted everyday with the huge security challenges facing the nation. He also said being an ex-soldier himself, he knows the volume of sacrifices they have made to keep Nigeria united as well as the huge challenges confronting them. He assured them that the federal government would ensure that their welfare was well taken care of, further pledging that the government would deploy all the powers within its reach to enhance the capacity of the military. He appealed to Nigerians at home and in the diaspora including corporate organisations to make contributions to the appeal fund, with a view to boosting the morale of the families of fallen heroes. â€œIt is indeed worthwhile to honour the memory of our distinguished veterans who paid the supreme sacrifice to keep the country united. Some others have spent the best part of their lives in service to keep our nation and the world at peace. â€œThe resolve by our countrymen and women to remain in one indivisible and indissoluble nation, Nigeria, is at the centre of this celebration. â€œIndeed, the Remembrance Day Celebration is being marked on the 15th of January instead of 11th of November as is the case in other Commonwealth nations to commemorate the end of the Nigerian civil war â€“ a war that was fought to keep Nigeria one. â€œWe must, therefore, cast our minds back at the events that led to the civil war, the immense human capital loss of the tragic war, and resolve that never again shall we allow our dear nation by our actions or inactions to experience another war. â€œI want to salute the gallantry, courage and sacrifices of men and women of the Armed Forces as they grapple with diverse and contemporary security challenges plaguing the country. â€œI appreciate your display of unparalleled loyalty to the country and dedication to duty. Being one of you, I understand what you have to undergo. This administration will continue to do all within its power and resources to ensure that your welfare is adequately catered for. â€œThe noble culture of appreciation and respect for veterans and servicemen and women experienced all over the world is very much part of us in Nigeria. â€œI, therefore, look forward to a time when business concerns and service providers in the country would give special recognition and consideration to these distinguished citizens and support the veteransâ€™ cause in any way they can through voluntary donations, employment opportunities and welfare support. â€œAs a government, we desire to improve the capability of our Armed Forces. I am glad that our efforts are yielding positive results already in boosting the morale of men and women of the Armed Forces. â€œWe will continue to engage them in training and retraining to improve their capacity to discharge their constitutional roles. â€œAs I launch the emblem today, I call on all Nigerians, the diaspora and our friends to donate generously to the cause of the Nigerian Legion and families of the fallen heroes,â€ he said. In his remarks, the Minister of Defence, Col. Masur Dan-Ali, said the patronage of the military emblem by Nigerians had not been encouraging and enjoined citizens to emulate other countries whose citizens purchase up to 90 per cent of the emblems during the remembrance period. According to him, the only way the generality of the people can identify with the military and contribute to the welfare of the families of fallen heroes is to buy and wear the emblem with pride. He also implored them to donate funds to the Nigerian Legion to enhance the wellbeing of wounded and incapacitated soldiers, adding that the launch of the emblem and its sale are a major source of fundraising for the welfare of the families of fallen heroes. However, just before the launch of the emblem Wednesday, there was some mild drama when the Head of Service of the Federation, Mrs. Winifred Oyo-Ita, engaged the Chief of Staff to the President, Alhaji Abba Kyari, in a heated argument that lasted for about 10 minutes. 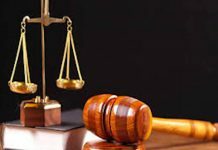 The argument started when Kyari, while facing Oyo-Ita, pointedly wagged a finger at her, which was perceived by the latter as a personal affront and seen as accusing her of leaking her memo to the president on the embarrassing reinstatement of alleged pension thief, Abdulrasheed Maina, in the civil service. 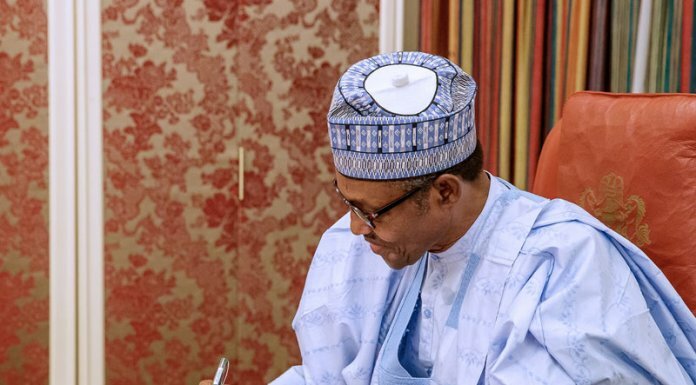 The leaked memo, published by a national daily on October 31, was the response of the Head of Service to Buhariâ€™s query, demanding a report on the circumstances leading to the recall of the fugitive and former Chairman of Pension Reform Task Force, Maina. The Head of Service, according to the leaked memo, had reminded Buhari that she brought to his attention the implication of reinstating Maina in the civil service after a meeting of the cabinet on October 11, before his recall became public, which prompted the president to order that he be dismissed. The submission of Oyo-Ita in the memo had exposed the presidentâ€™s feigned ignorance of Mainaâ€™s recall and promotion from Assistant Director to Deputy Director in the Ministry of Interior. Ostensibly, Kyari must have been upset about the memo, which projected the president in a bad light. However, following Kyariâ€™s finger pointing, a visibly angry Oyo-Ita confronted the chief of staff, informing him that she had attained the peak of her career as a civil servant and had no reason to fear anything because she was neither a politician, nor an elected representative. â€œI have reached the peak of my career. I am not an elected politician,â€ Oyo-Ita stated without any fear of equivocation in the presence of guests who had been invited to the chamber to witness the swearing-in of the new SGF, Mustapha Boss and the launch of the 2018 Armed Forces emblem by the president. The guests included Senate President Bukola Saraki, Speaker of the House of Representatives, Hon. 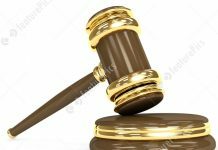 Yakubu Dogara; the Chief Justice of Nigeria (CJN), Justice Walter Onnoghen; Adamawa State Governor, Jubrilla Bindow; the National Chairman of the All Progressives Congress (APC), Chief John Odigie-Oyegun; Chief of Defence Staff, Gen. Gabriel Olonisakin; Chief of Army Staff, Lt.-Gen. Tukur Buratai; Chief of Naval Staff, Admiral Ibok-Ette Ekwe Ibas; Chief of Air Staff, Air Vice Marshall Abubakar Sadique; Inspector General of Police, Ibrahim Idris; and the heads of paramilitary organisations, among others. Oyo-Ita, in a complete departure from her usual calm and quiet self, after engaging Kyari in a heated exchange, returned to her seat but feeling that she had not yet exhausted her rage against her traducer, rose up again from her seat and headed straight to Vice-President Yemi Osinbajo who eventually calmed the frayed nerves between the two officers. The National Security Adviser (NSA), Babagana Monguno, later joined the conversation as the new SGF also assisted in placating the exasperated Head of Service. The Deputy Chief of Staff, Femi Ipaye, having observed that all eyes were fixed on her, encouraged the aggrieved civil service head to return to her seat. Maina had been declared wanted by the Economic and Financial Crimes Commission (EFCC) in 2013, following the discovery of a N195 billion fraud by the then Joint Senate Committee on Public Service, Establishment and State and Local Government when Maina was the head of the Pension Task Force. However, Maina who had absconded from the country to Dubai in the United Arab Emirates (UAE), which led to his dismissal from the civil service by the Goodluck Jonathan administration, was secretly reinstated on September 28, following a series of correspondence between the Attorney-General of the Federation (AGF) and Minister of Justice, Mr. Abubakar Malami (SAN), Federal Civil Service Commission (FCSC), the Minister of Interior, Abdulrahman Dambazau, and the Head of Service. But the bubble burst when Premium Times blew open the secret reinstatement, forcing Buhari to order Mainaâ€™s disengagement from the civil service and the issuance of a query to Oyo-Ita on October 23 to explain the circumstance of Mainaâ€™s reinstatement.